Claims map showing claim 57 in the name of John Alexander and Claim 51 in the name of Captain Thomas Coupe. Main street was built along the border between these two claims. The map is from around 1858. Claims map showing roads as well as claims. 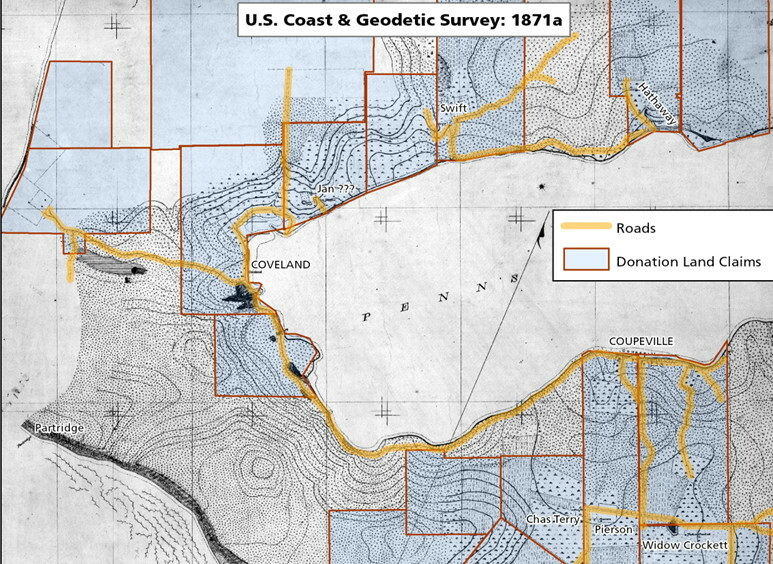 The map is from around 1871. The next two maps on this page are taken from Sunburn Fire maps of the town of Coupeville. They were generated to help with fire insurance assessments at the time they were published. There is also a map for 1930 but it is not presented here for copyright reasons. Taken from a microfiche copy. The next map is an animation of the building and destruction of the structures on main street. It was produced by the project authors in the 4-HD club, using the best information available. The maps are in 5 year intervals. click on the arrows to move through time from 1850 when there were no buildings. 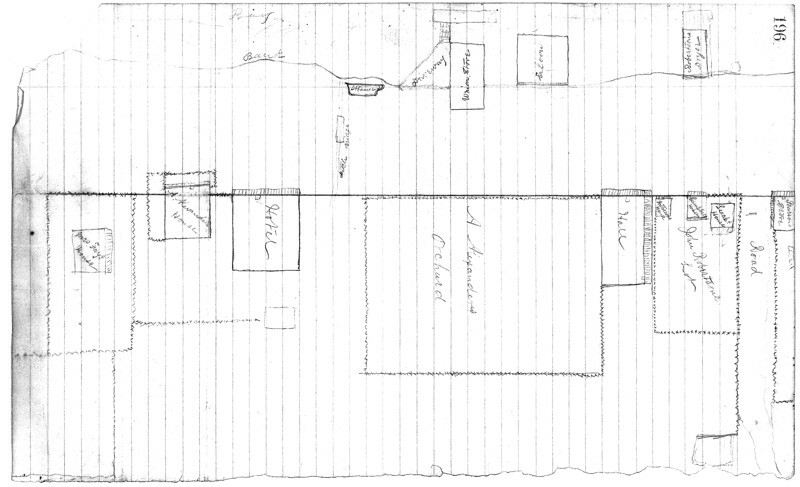 The next map was found at the Island County Historical Museum, Coupeville. The author and date is unknown. 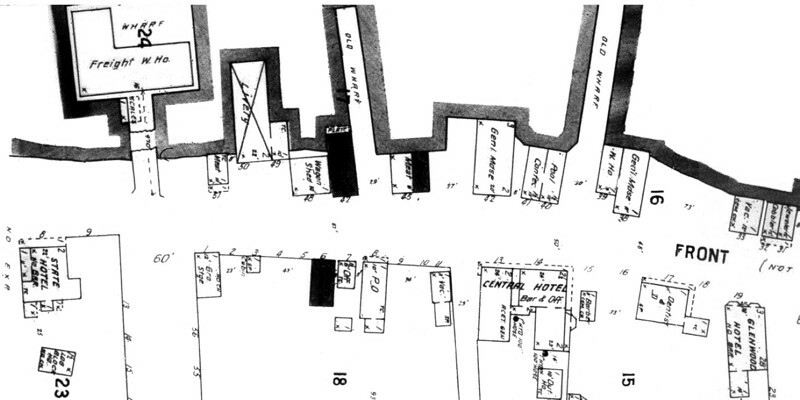 The map shows the Union Store built in 1871 but does not show the Sill house built in 1874 so the map probably shows Front Street during this time. The houses on the John Robertson Lot to the right (east) were not previously known - The Glenwood Hotel was built over them. The accuracy of this map is unknown. Several buildings that were otherwise unknown appear on this map. Note that much of Front Street had an orchard on the south side.